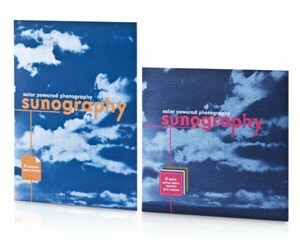 One pack each of Sunography Paper and Fabric. Place any object or transparency on the Sunography Paper or Fabric, expose in bright sunlight, and rinse with water to reveal a rich blue print. Sunography paper or fabric contains light sensitive materials, which react to sunlight. What’s more each sheet or fabric square can be exposed on two sides both front and back. The superior quality of Sunography produces finely detailed prints. The prints can also be tinted, hand painted or decorated once exposed.